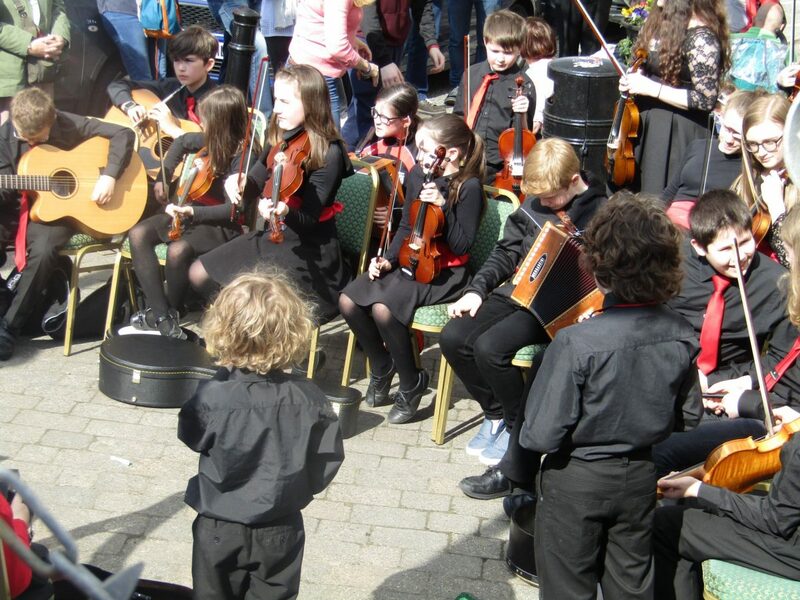 There are many reasons why this was the most outstanding festival of all time in Ardara. The weather was brilliant, Mairead Ni Mhaonaigh as special guest was just unbelievable and the quality of music and the massive number of musicians was amazing. But behind the scenes, there were many unsung heroes who made Ardara a great place to be and are often overlooked in the acknowledgments. PJ was out in the early hours of the morning cleaning the streets each day of the festival, Michael put up a sign welcoming people to the town. Leo, Charlie and Michael cut the grass on the entrance roads to the town before the festival, and John continues to collect litter as only he can. Seamus and Brian did an amazing job on the website keeping the world up to date on Ardara constantly and it is working well. Colm, Tracey and Teresa did a wonderful job on tourist information and Eugene planted flowers all over the place and it is looking good and Eugene will be a great addition. Thanks to all the Dessies for all their work in collecting garbage. 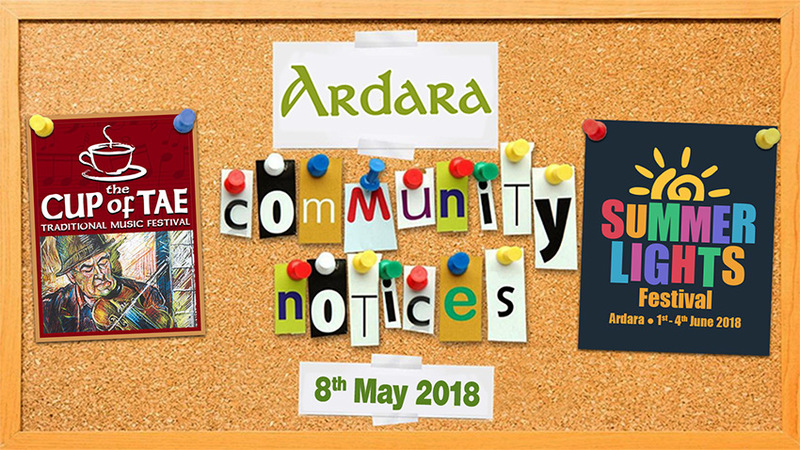 This was a great weekend to highlight Ardara. Well done! A Film “The Case for Christ” will be shown in the Heritage Centre on Fri 11th May at 8pm. Refreshments will be supplied by Shiela in her Cafe afterwards. The GAA are organising a Parish Clean Up on Sat 26th May. Anyone wishing to give a hand for a few hours to meet at the GAA Clubhouse that morning at 11 am. Further info to follow over the coming weeks.. The next Festival in Ardara will be the Summer Lights Multicultural Festival on June Bank Holiday weekend. This festival incorporates a weekend of international breads and music. More details next week.